Around four months after the release of the Galaxy J4, Samsung is almost ready to launch the Galaxy J4+. This upcoming handset has just received its FCC certification and is expected to hit the market as the cheapest handset to feature an Infinity display, as well as software navigation keys. Around four months ago, the Indian market was the first to receive the Galaxy J4, but the launch of this budget handset came without making many waves. While it came without anything special, using a traditional — and quite outdated — Samsung low-cost design, the Galaxy J4 is expected to receive a "Plus" version that eliminates these problems. 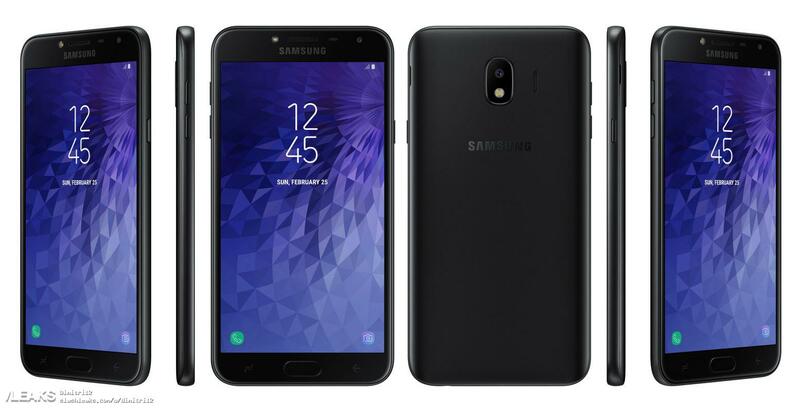 The Samsung Galaxy J4+ is expected to hit some markets using the Galaxy J4 Prime name and it has just cleared the FCC. According to the documents made public by this certification authority, the handset will come with software navigation keys, so the rumors claiming that it will also sport an Infinity display have a solid chance to turn into reality soon. At last, it looks like the support page for the Galaxy J4+ went live, so the official launch of this handset will probably take place before the end of the month. However, we are expecting a silent launch instead of a big press event. As soon as that happens, we will get back to this budget phone, so stay tuned.